It’s one thing to come into work inspired each day as a designer; being asked to inspire minds is another! Nevertheless, Generator Design Partner Jose Guzman hopped to it and headed to London, Ontario for a unique teaching opportunity. 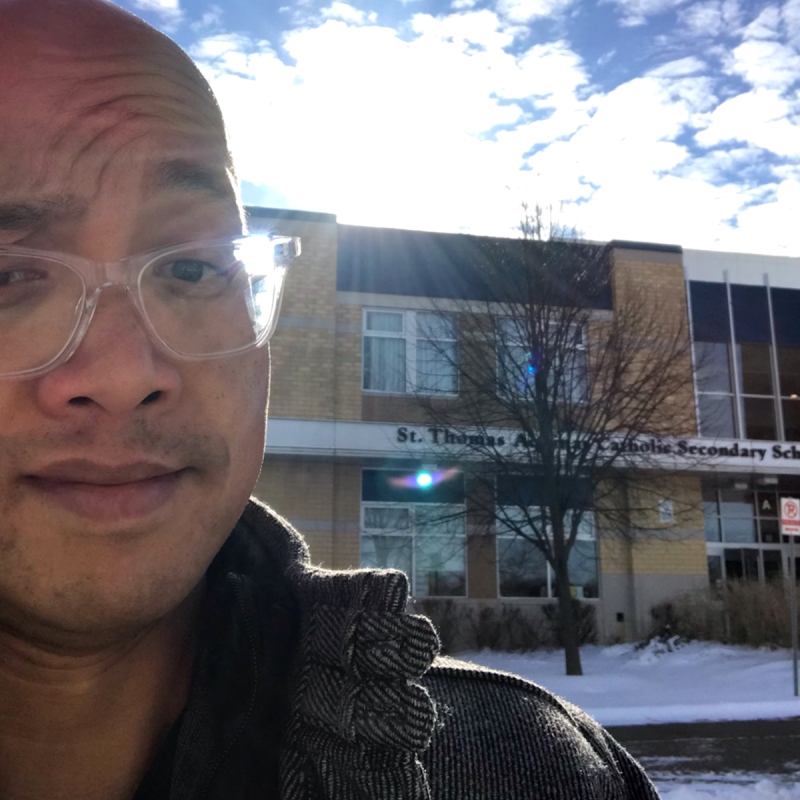 Arriving at St. Thomas Aquinas Catholic Secondary School, Jose headed to a welcoming Grade 10 class to speak to business and entrepreneurship students, among which was his nephew. The topic of the day: How did you become an entrepreneur? To some, it can seem that it just happens as an immediate success; having experienced the growth of Generator Design, Jose knows it as anything but. Now, where to start? “Speaking engagements still make me nervous,” says Jose. “I was relieved to have my nephew in the class—having a teacher there helped, too!” Sometimes, being a creative means getting out of your comfort zone and onto a new playing field. You need to be the hardest worker in the room to reach your goals.